As preppers, we not only spend a lot of money on preparedness but a lot of time as well. As the saying goes, “time is money.” So we should take advantage of opportunities to make money doing something that we are passionate about. 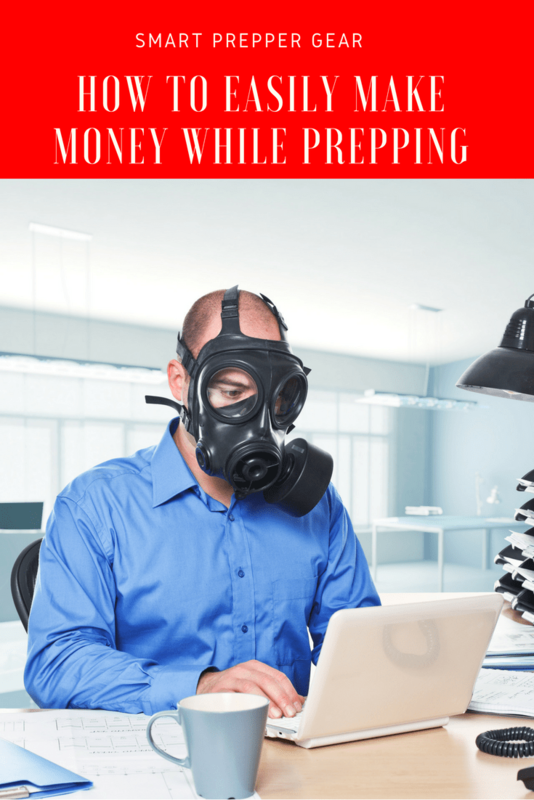 In this post, we are going to talk about how to make money prepping. We should always be looking for ways to earn some extra income. The average millionaire has seven streams of income. You may not have a dream to one day be rich but as a prepper, you should desire to be financially secure. Extra income, in turn, will help you to better prepare. It could be used to pay off debts along with buying gear and supplies. Therefore, the skills and knowledge that you are learning today can be used to help others prepare the smart way now so that we can thrive later. When considering how to make money prepping, teaching should be an obvious idea. As a prepper, you should be learning and developing skills consistently. If you practice them enough then you can become an expert in that field. Once you have an expertise in a certain field then others will turn to you for answers. Now you don’t necessarily need to set up a class with a physical location. Some of these you could teach through online courses. These skills are just a few examples. With associations like the NRA, you can actually become a certified trainer by going through their courses. Then with that certification, it gives you proof that you know what you are talking about. So look out for programs where you can receive certification. This is especially important when attempting to teach critical skills like firearms, first aid, etc. At the same time, some skills like fishing or hunting don’t necessarily require certification to be deemed an expert. Either way, you can make a good income by sharing your skills and knowledge. One of the most important aspects of survival includes having enough emergency food stored. One the greatest ways to store emergency food is by dehydrating them and storing them. This type of emergency food storage provides a long shelf life. To dehydrate your food you will need a dehydrator. This is especially important if you are building a large stockpile of dried food. However, this piece of machinery is expensive. By selling dehydrated food you can earn your money back and make a profit. More and more people have become more aware of preparedness. Many people are searching for ways to build an emergency food stockpile. So you could set up a local store online or even a physical location like at a farmer’s market. Another possible item that you could sell is homemade soaps. A lot of us are preparing for the grid to go down. When that happens we may not have access to soap to wash with. So one way to prepare is by making your own soap to stock up on. To know how to make soap will be useful in a grid down or collapse scenario. While you are producing your own soap then you can make some additional food to sell and make a profit. You could sell them at a local farmer’s market or online. Really the ideas are endless. Just take items that you are already making and find an opportunity to sell them. If you are fortunate enough to own a lot of land for your house or retreats then you can earn some additional income. One way to make money off of your land is to rent to farmers. They are typically looking for pastures or land where they can feed their cattle. Instead of spending long hours on a lawn mower you can get cows to do it for you and get paid. You can find local farmers through online forums like Craigslist. If you don’t have any luck online then I recommend going to farmers directly with your proposal. Another idea that you can make money off of your land is by planting a tree farm. Now, this is going to take a lot of lands but could provide you with some nice additional income. I’ve seen local tree farms that make a killing when Christmas season comes around. As a prepper, you should visit your local shooting range frequently developing your shooting and defensive skills. Many people spend hundreds of dollars on ammunition just to blow through them at the range. The leftover shells are typically swept away. However, those shells can still be used again. There are many people who reload shells. So I would recommend sweeping up those shells to sell. Now you’re not going to get rich off of this but it would be a good supplemental source of income. As a prepper, it is important to have natural resources of heat in the case of a grid down scenario. As I recommend in The Strategic Prepper, we should have a few cords of firewood to keep us warm. The more self-sufficient you become the higher your survivability increases. One cheap way to collect firewood is to go scavenging. You can drive around your city and see wood that is set to the side of the curb. People will cut trees down from their lawn and throw away the wood. THAT IS FREE MONEY! If you live up north, there are probably many people in your city that still rely on or supplement their heat with firewood. Those people typically spend top money at local stores buying that wood. This is where you come in. You need to find those people by looking for houses with chimneys or who already have wood stocked in their yard. Another way to collect wood is by going through the woods looking for fallen trees. I wouldn’t recommend cutting down live trees unless you are desperate to survive. Typically older, dead trees will produce longer burning firewood. Along with selling extra firewood that you collect you could also offer a tree cutting service. My stepfather actually spends a few hours every weekend rolling through neighborhoods looking for trees to be cut down. Some people don’t like to have trees hanging over their house or fence. He typically goes door to door asking if they would like those trees cut down. So he makes a few hundred extra bucks every weekend. Not only can you make money by the service but also by selling the firewood. If you live up north you can make some decent additional income. You could get into trapping to sell furs. Trapping is setting up traps to catch animals like beavers and sphinxes that have nice furs. You can sometimes get up to $100 to $500 depending on the size and quality of the fur. If you get into trapping you want to make sure that you are not encroaching on someone else’s trail. Trappers are really protective about their trails. These are typically handed down throughout generations. You will also make sure you are obeying local hunting laws in your area. Another option is to hunt and sell the meat. I know a few people who hunt for Deer to make Deer Jerky. They make a few extra hundred dollars. Now I wouldn’t recommend doing a mass production. And if you haven’t ever had Deer Jerky then you haven’t really lived life. Stacking gold and silver is typically designed to give you a financial hedge or protection against inflation. That is one of the great reasons why preppers should have silver. The purpose isn’t really meant to get rich. There typically isn’t a huge profit in precious metals unless you are able to dig and find your own. However, it is possible to make a little extra money here and there. You will need a good gold or silver stacking strategy. For example, the price for an American Silver Eagle increases as it ages. So you could buy one today and make almost double on what you paid a few years later. If you stack enough then you could make a few extra dollars. Another way of making a profit off of stacking silver is by purchasing collectible coins. Typically hobbyists will pay a good amount for rare collectible coins. You can typically find some collectible coins on websites such as SD Bullion. The downside is that you will have to wait for years to see a profit from stacking silver. So it is an option to consider. However, I would focus more on stacking silver for a financial hedge in case there is ever a collapse. Now, I know that I am going to catch a lot of hate from some of you keyboard commandos on this one. Here it goes anyways. When considering how to make money prepping renting out your bug out retreat could be an option. I know this is controversial because we want to keep our retreats a secret. That way when SHTF we don’t have a hoard of people coming to our location. Another thing is that you want to be at your retreat alone when SHTF. But if you are willing despite those objections then it may be a viable option for you. One way to rent them out is through websites like Airbnb. A lot of people look for retreats in the middle of the woods or mountains to spend a quiet vacation at. You could also rent out your retreat during hunting season depending on your location. Many hunters will pay top dollar to have exclusive rights to land. Especially if that land is prime for game. 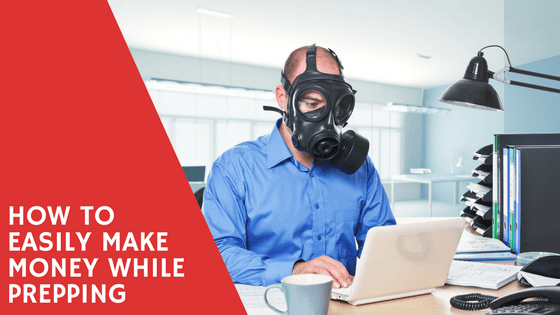 As a prepper, you most likely spend a lot of time buying gear and supplies online. Most of it cannot be found locally. With that being said we tend to spend a lot of money online. One way to take advantage of that shopping is by using eBates. In a previous post, I talked about how to save money by using eBates. However, they also provide a way to make money through referrals. If you refer friends to use eBates when shopping they will actually pay your $5 for each referral. Then they also provide you with bonuses for the more people you refer. You can find a breakdown of that referral structure below. So when considering how to make money prepping, using eBates is an easy, passive way to earn some additional money. You can learn more information HERE. Altogether, these would be my tips on how to make money prepping. Please leave a comment below if you have any additional ideas or feedback. Your feedback helps the community prepare the smart way now so that we can thrive later.